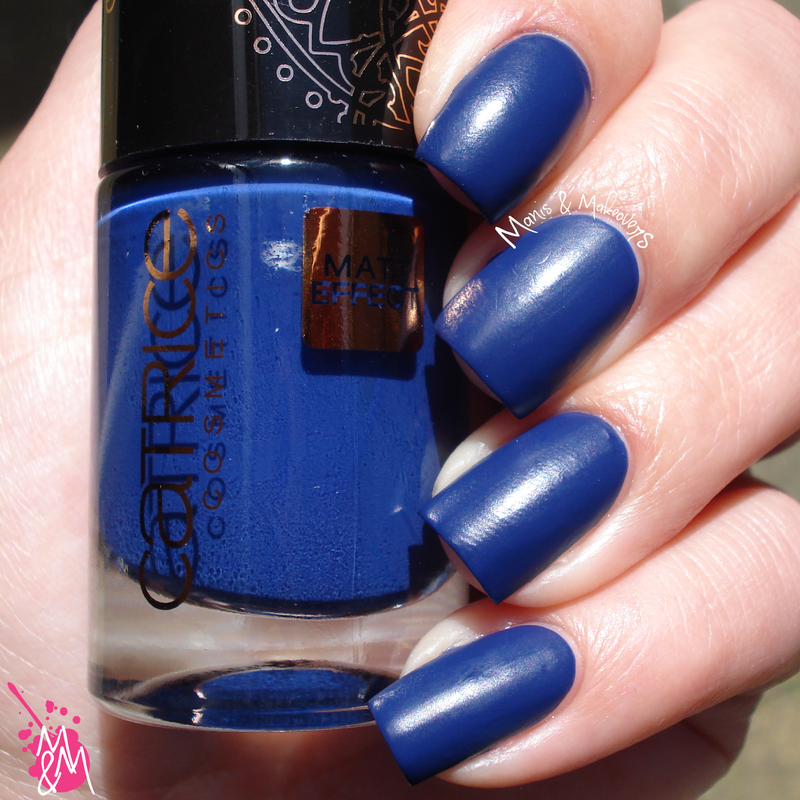 So I started off with one coat of Trip Into The Blue, also a one-coater, which dries to a matte finish. Being such a pigmented blue, I doubled up on base coat, just in case. So would you pick up these polishes? I'm very impressed with their opacity and it's so fun that the blue one dries matte! 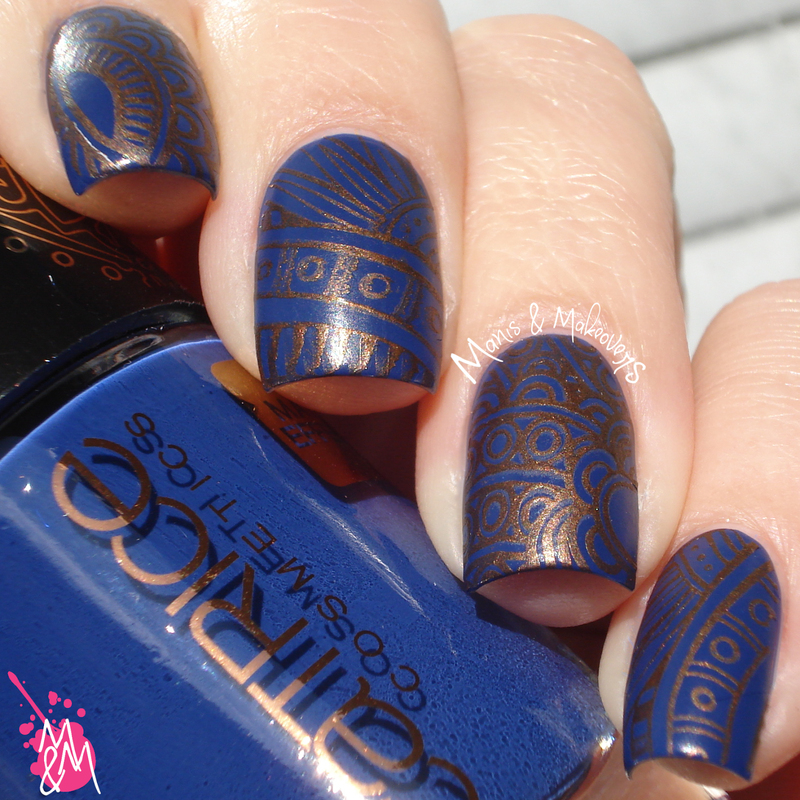 I also love this stamping plate, I want to use the other images on the plate too, but with different colour combos. If you want to pick up this plate, use code SXDQ10 at checkout, for a 10% discount on your entire order! OMG!!! I adore these!!! Absolutely gorgeous - great colors together!! Lovely!!! 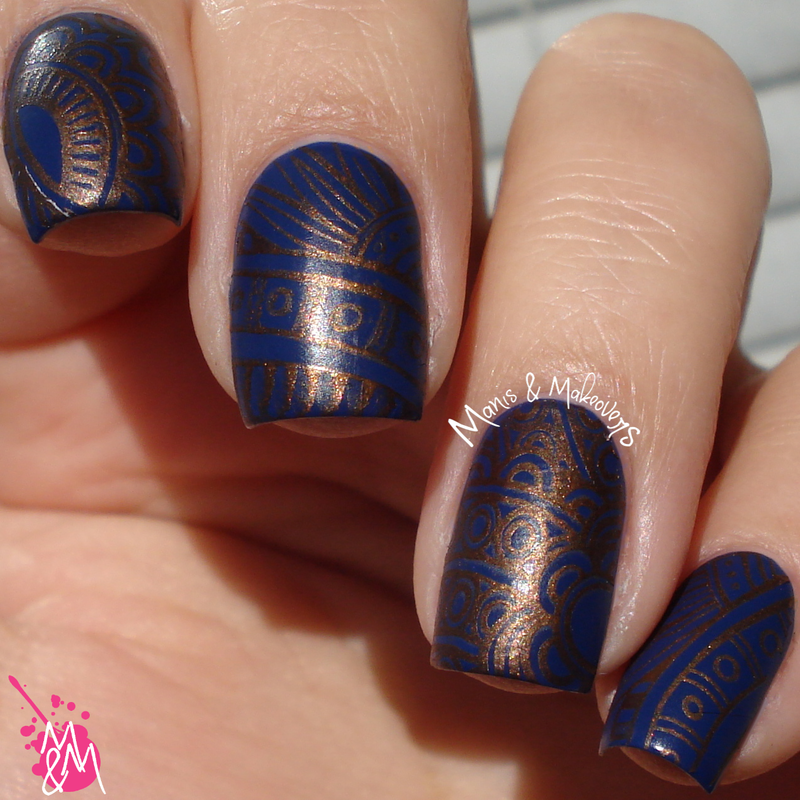 I super like what you did in this mani. 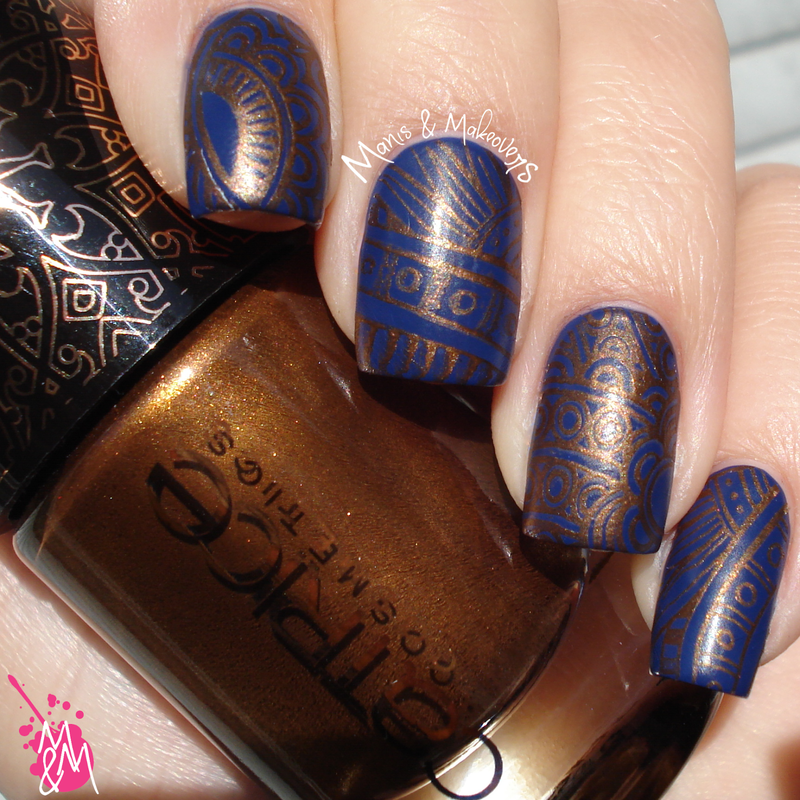 The base color is such a beauty over an amazing stamping design. Great job! I need that base color - but that combo together is perfect and reminds me of Fall! So pretty!! The combination of colors is perfect!